Rental Guardian and Bookerville: Get Started Today! Please select the estimated # of bookings per year. Serves as a lucrative add-on revenue stream for the property manager. No more collecting and holding extra money, and then having to refund it after the check-out. No issues with customers "challenging" or "charge-backing" security deposits that are retained for damage. There are many more advantages than this, but these four represent the most-often cited by property managers looking to escape the burden of refundable security deposits. Automation:Rental Guardian offers unparalleled software integration through a modern, real-time API, which Bookerville has integrated with. What does this mean? It means that new policies, whether mandatory or guest-optional, are automatically posted to Rental Guardian for you, and the documents are automatically sent to the guest. There is no paperwork for you or the guest to deal with - the software does it for you! 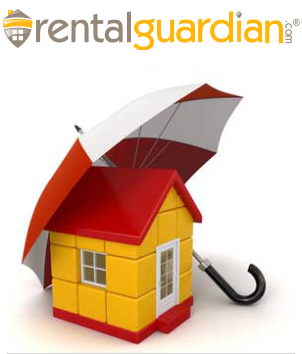 Competitive: Rental Guardian's prices and coverage terms offer a value that can't be beat elsewhere. Confidence: With products like Royal Adventure Damage Protection from ANV at Lloyd's, Virginia Surety Damage Protection from Virginia Surety, and Lexington Premises Damage Coverage from Lexington, both you and your guests can rest assured the policies are first-rate. Reporting: You can sign-in to your own secure Dashboard to run reports, review documents, and view your tallies. "Rental Guardian is providing me and my guests what we want, and Bookerville's integration means less work for all of us." "This is so much better than what we were doing before. The automation is the icing on the cake!"